This is a photo that I took almost 3 years ago that I only recently discovered after digging through my old photos and is now one of my favorite ones. I took this with a cheap little CCTV lens that I ordered from China that has a tiny focal area that creates some very artistic shots but is very hard to focus both because of the focal area being small and because I have to manually focus it, since it is not made for my camera. 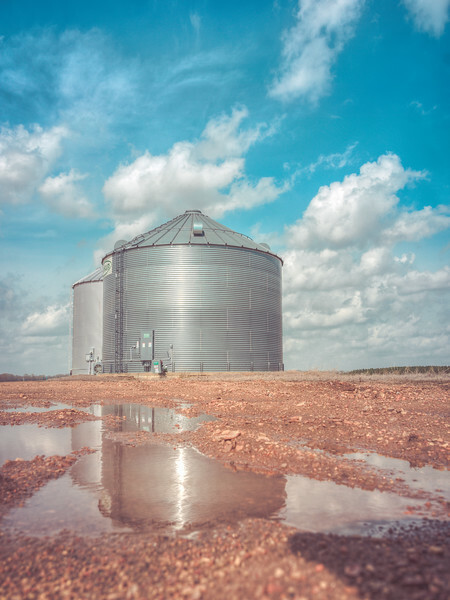 However sometimes you create art through happy accidents and I feel like this photo is sort of iconic Mississippi. I don't get photos like this often with that lens but in this one it created a smooth buttery bokeh that just pulls you right in. This is a photo I took on a visit to the delta near Greenville. This cotton field was about a 1/4 mile from the river bridge. 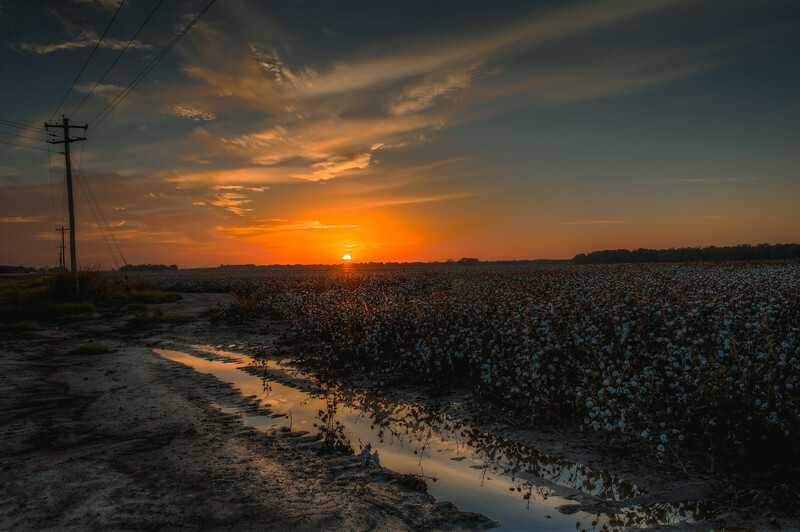 I love how the sun is just peeking up over the clouds casting a nice glow on the top of the cotton. The delta is such a great place to visit and photograph. I took this photo about a year and a half ago. It was my first photography trip to the delta. I woke up at 3 am to make it to the river before sunrise and this was the site that I witnessed. It's always nice to plan a sunrise photo trip and have the perfect conditions. Great clouds and great light. This was actually taken from Arkansas looking at Mississippi. It was the only spot I could find where I could get right next to the river and be able to look towards where the sun was coming up over the horizon. Fun times! 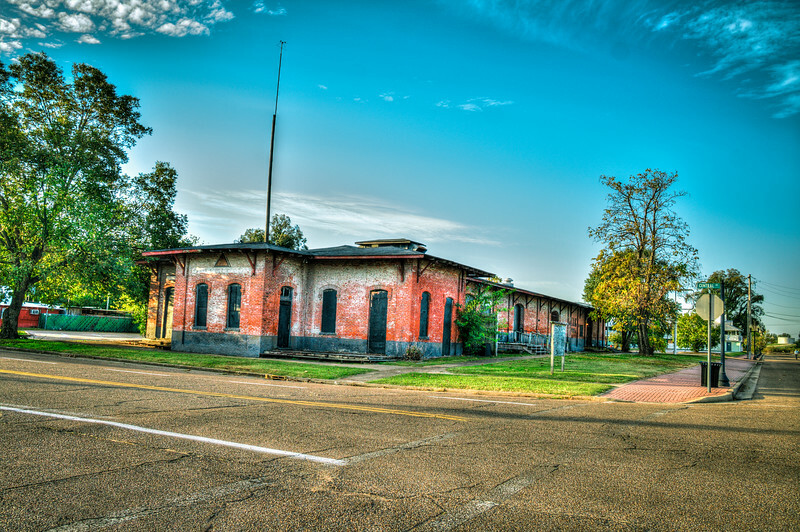 I don't know much about this old depot in Greenville, but I liked it so I photographed it. Enjoy! I'm working on a little tutorial that I will post on the site when it's finished. It will go through my basic workflow on the photos that I take, from snapping the shots to creating HDR photos from them to HDR post-processing. 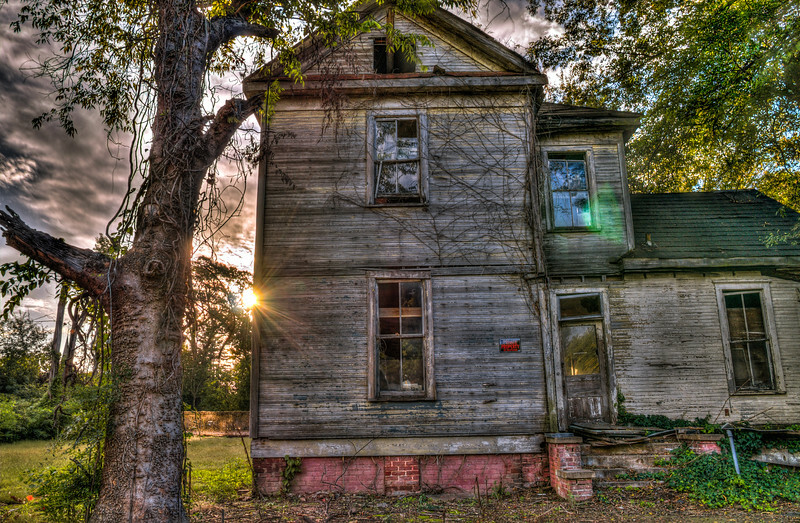 It won't be groundbreaking but it may help get you started on your own HDR journey. I found this building in downtown Greenville and it looked like it was once a pretty important building. I was told by a guy that I met while taking photos that it was some sort of club for Cotton farmers and I was able to find on google that it was built as Elks Lodge No. 148 and was called "Old Greenville Cotton Pickers Lodge". More info can be found here. 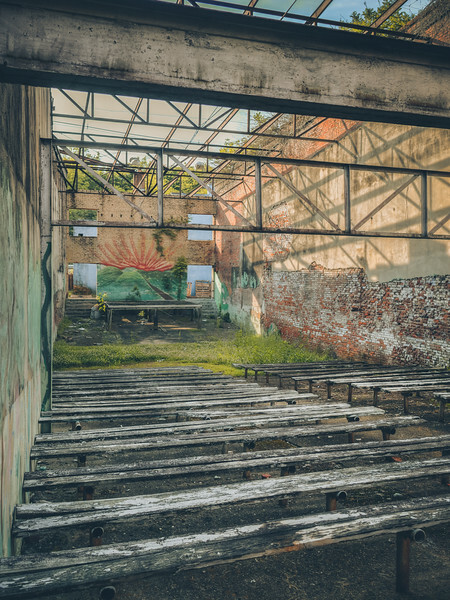 It's unfortunate to see so many historic buildings abandoned and deteriorating but I love reading about their history and discovering what they were once used for. Apparently this building once contained some rare and expensive oil paintings in it's hayday. I encourage you to go visit Greenville and the delta. I have a confession to make. This photo was not taken in Mississippi. However, Mississippi is in this photo, just across the river. 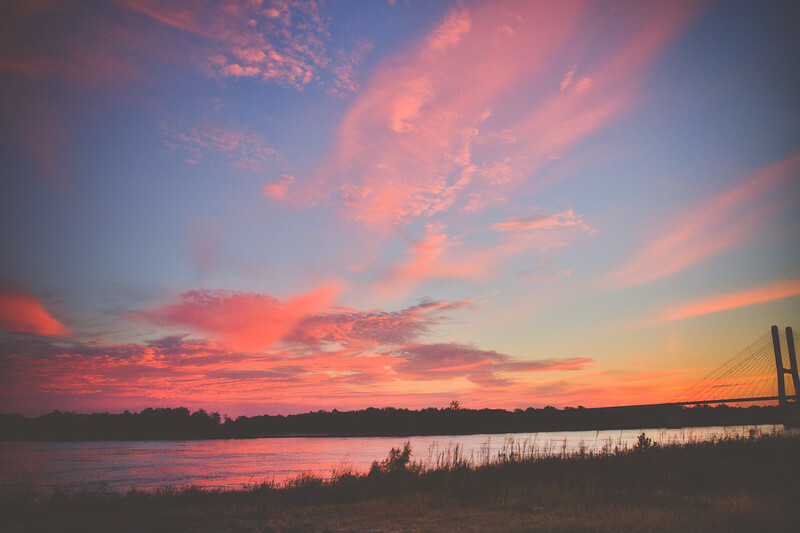 I woke up around 2:45am this day to drive all the way to Greenville to get to the river before sunrise. 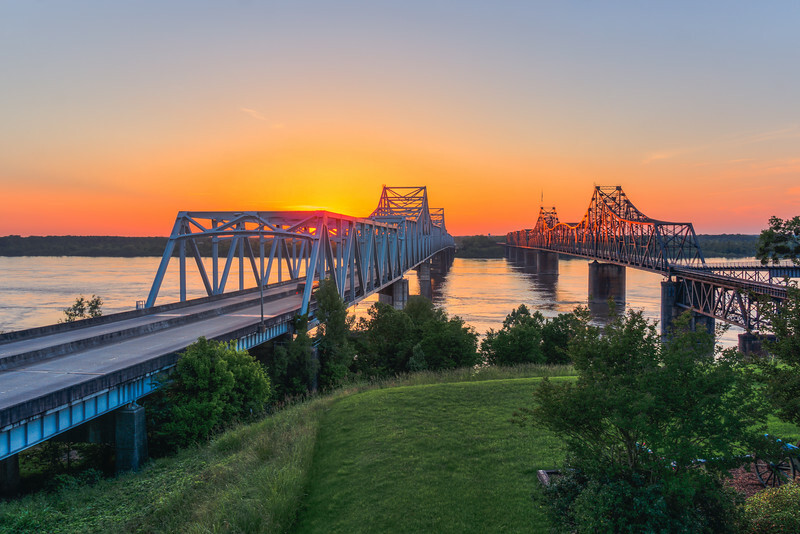 When I got there I could not find a good place to get a shot of the bridge, so with the sun rising on the Mississippi side of the river anyway I decided to venture into Arkansas and try to find a nice spot to get the sun rising behind the bridge. I found this perfect little spot and spend about 30 minutes shooting. 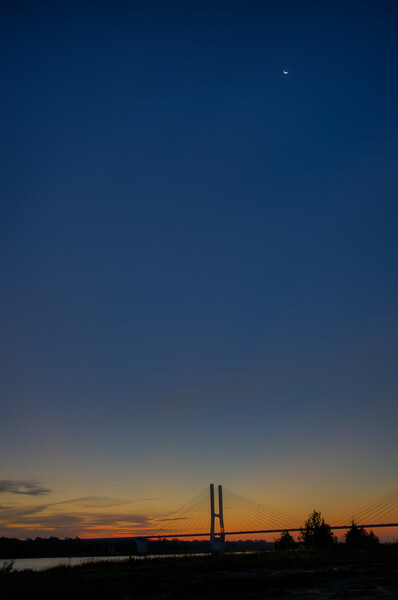 It was nice to see the moon hovering above the bridge so I made sure to get it in the shot. This is the result. During my delta trip last October I ventured off the main roads and onto the Mississippi River levee. As I rode on the narrow levee road I began to see signs that lead me to believe that I want supposed to be driving my car on it. You know, signs like "Authorized Vehicles Only". 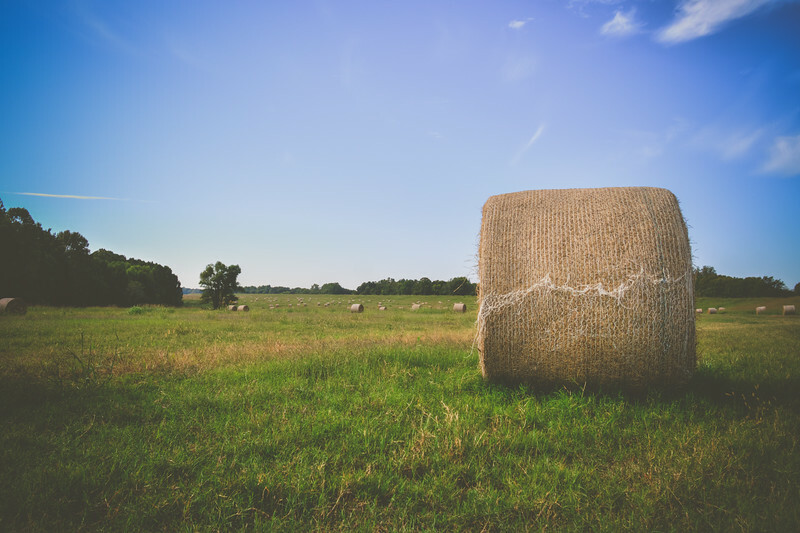 Before I turned back to find my way off the levee I spotted some hay bails in a field so I parked my car, ran down the hill and shot this photo super quick, then jumped back in my car and got back on an authorized road. I like to live on the edge! I gave this photo a bit of a vintage look, which I thought worked out well. I've been playing a lot with different looks, colors, feels, etc., which you may have noticed lately in my work. Sometimes photos need it and sometimes they don't. I feel this one was a success. 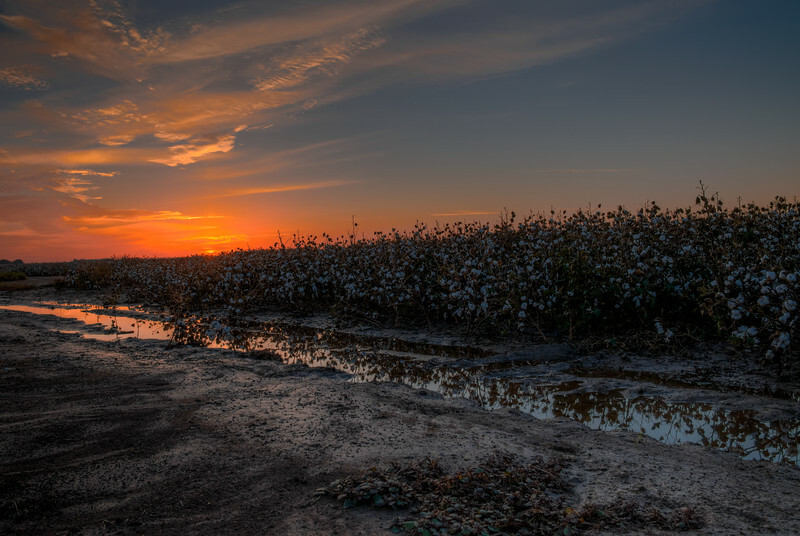 You can't really think about Mississippi and not think about cotton. 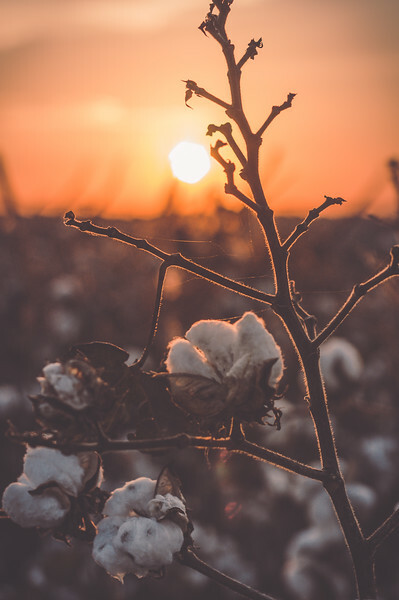 It's played a huge role in the history of this state, so when I went I made my trip to the delta last year I made sure to stop and shoot some cotton photos. This was the first photo that I took after going across the river and getting a few pre sunrise shots of the river bridge near Greenville (will post those at some point). Did I mention that I left Columbus at 3:30am to get to the river before sunrise? In October a lot of the cotton has already been gathered so I was glad to see a few full cotton fields during my time there. 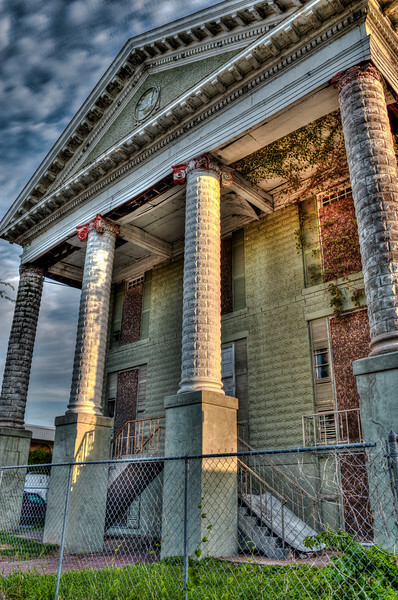 This shot is an example of a more subtle HDR technique. Sometimes you can go way over the top with HDR as you will see if you google HDR images (Think HDR on acid). I try, for the most part, to be a little subtle with it, but still make it an obvious HDR image. I thought this image looked better with even more subtlety but still captures a lot of detail in the scene. On my trip to the delta I spent a good bit of time in Greenville. As I was riding around downtown I discovered this house as the sun was beaming from right behind it. I really like how it turned out and I hope you do too. This house was very creepy looking, but very cool and interesting at the same time. The delta is such a mysterious place to me. So what equipment do I use? Right now there really isn't much to it. I have a small compact mirrorless camera called a Sony NEX-3. It's actuallly the lowest end camera in the Sony NEX series, but it has been a great camera and for anyone on a budget that enjoys photography, this is a great option. The lens I use mostly is a wide angle Sigma 19mm f2.8 DN Lens (Sony E) and it has a been a great lens at an affordable price as well. I have some older lenses that I have accumulated that actually do not fit my camera naturally, so I use adapters to attach it to my Sony and they have worked great so far and there are too many to list here. But for the most part I use my Sigma lens for HDR. And I always use a tripod when taking HDR shots as stability is of utmost importance. 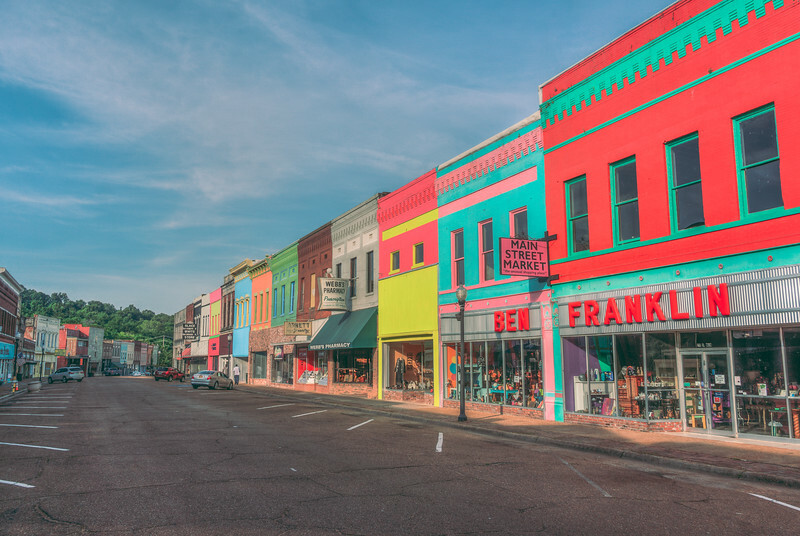 Travelling through North Mississippi today and hoping to find some great spots to photograph. Have a great weekend!